And he explained the idea that had been brewing in his mind during our walk. Quite simple really, and quite effective – now I want one! All you need is an old t-shirt, sellotape, and leftover fence paint! By the way, if you can I really recommend walking part of the Fan Trail on Sunday – it winds it’s way from the waterfront downtown to the stadium at Eden Park where the final between NZ and France will be held – with a fantastic atmosphere all the way! A fabulous t shirt. How creative of you both. LOL! Great t-shirt and your son sounds exactly like mine. (They look to be of a similar age too.) 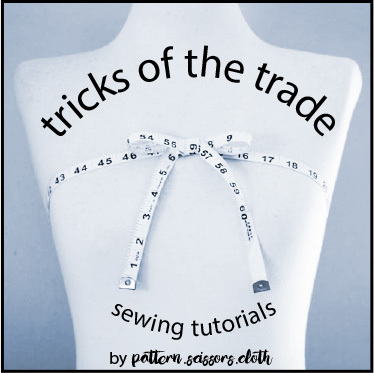 I'm currently making a Halloween costume under direction. 🙂 Got to love the way they think. That is fabulous. I especially love the sellotape writing. Strangely enough, interest in the world cup petered off here this week! My son LOVES tape … what is it with boys and tape? Event though I am Australian … I hope you New Zealanders win! It would be great for you! Masking Tape works well too -especially the ridged stuff which you can curve as you apply it……. Love the he thought of it and created it! Wonderful T shirt. I'll bet a lot of people will see it and ask where he got it. What a clever boy, as well as being so handsome. Good idea, fun project, thank you for telling us about it. How cool! My daughter had a similar idea for a school world cup day and made a fern exactly the same way on a black t shirt with masking tape (no paint, but once she sees this one…. )I love kids creativity! That's so good – clever!! It must be a fever mania over there – how dismal were we??? Go the All Blacks!! I have to confess – the All Blacks are magnificent. It might allay Australia's sense of humiliation if they trash the French! 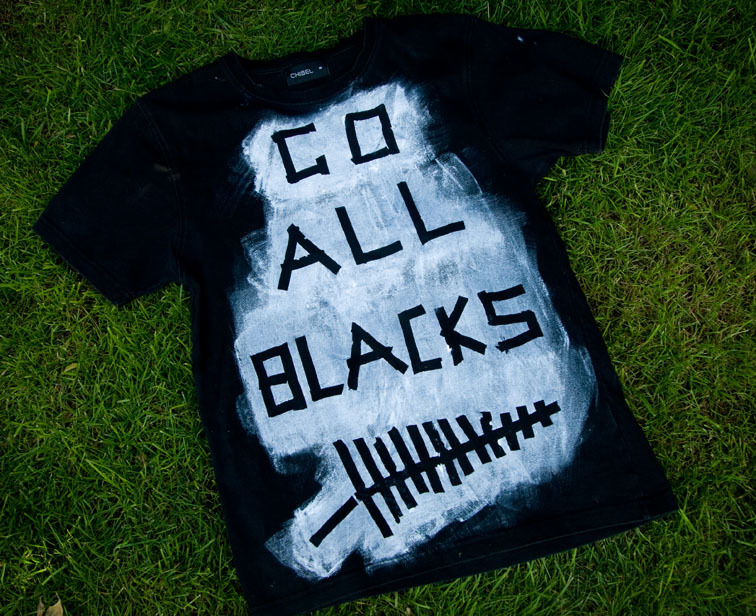 So go the All Blacks! 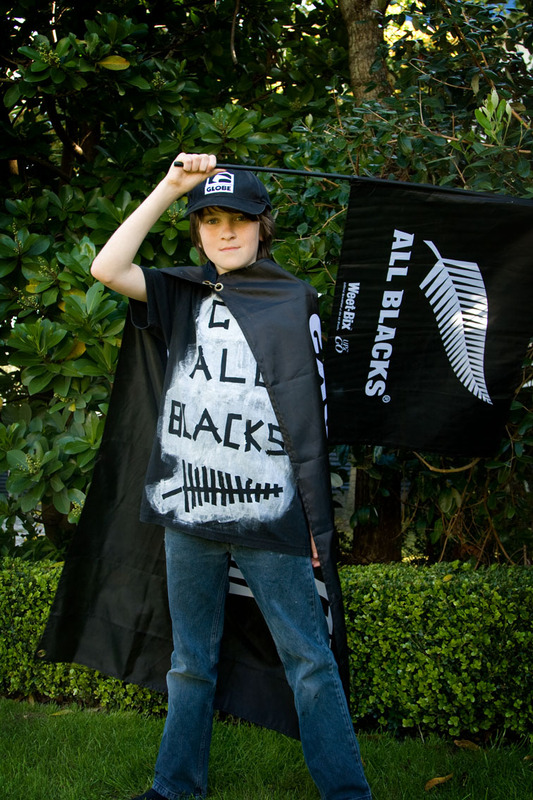 Go All Blacks! NPR featured the Harkaa (spelling?) today. Cool custom. I love his shirt, the questions, and his initiative! How funny! The t-shirt turned out really well! Great T-shirt and great result. I have a 12year old boy who was very disappointed to miss out on the whole party atmosphere. Never mind….ticker tape parade tomorrow….yah! So clever! Just like his mama!